Sackmaker have been supplying the Coal trade for almost a century. We stock top quality single trip and multi trip woven sacks. Perfect for packing Coal and Smokeless fuels and available in standard White Woven PP or laminated material (Forecourt Coal). Our Premium Grade re useable sacks are still made here in the UK – the best on the market. Our range of woven PP log sacks are ideal for the transportation, storage and seasoning of logs. Durable and cost effective; our firewood sacks and bags are fully reusable. See also our range of log nets manufactured with the best quality mesh to ensure logs can be seasoned, transported & displayed with ease. We manufacture coal bags and sacks which are suitable for the storage and transportation of coal and other smokeless fuels. 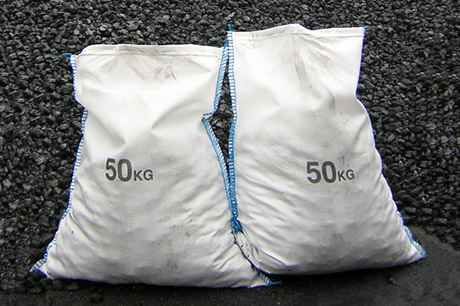 Coal bags and sacks from Sack Maker are produced from the highest quality polypropylene or laminated materials to ensure strength and durability. 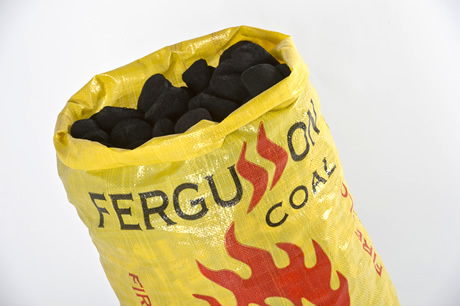 All of our coal bags can be supplied in qualities fit for single trip or multiple use. All our sacks are reusable & recyclable.